This is certainly a curious one. Made almost entirely of wood, it is definitely no Cult Gaia, but there are similarities. Wait, scratch that. There are actually no similarities at all, save for the fact that both bags have the same pattern when it comes to the body. Other than that though, zilch. 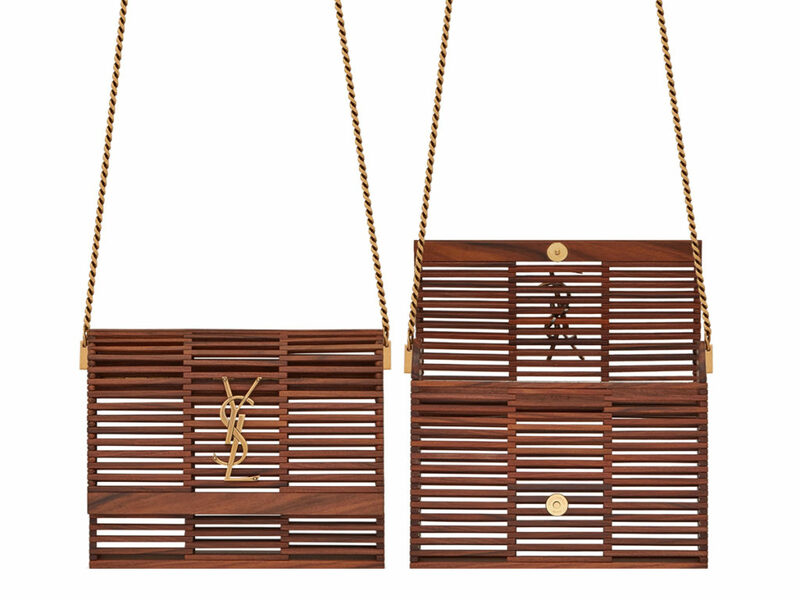 For one, the shape is more flap bag than basket tote, finished with gold-tone hardware on the sling, YSL logo and the magnetised snap button. Measuring some 20 cm by 16.5 cm, it is also one that’s priced way more than the couple of hundreds from the brand mentioned earlier. How much? It will set you back by SGD5780, which is a pretty penny indeed. The most amazing thing, though, is the fact that is already sold out on Saint Laurent’s own online site, but you can still get it via NET-A-PORTER for USD4025. Still pricey, but if you’re looking for a unique standout piece, this is it, though honestly some folks might wonder why you are carrying slatted wooden blinds out and about with you. Which could be awkward.